Why SHould I feed My Pet Ocean Sourced Omegas? 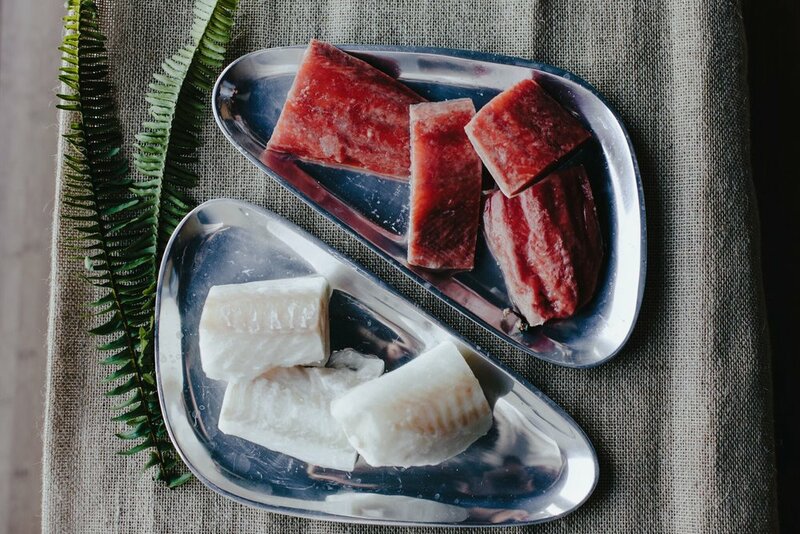 SOUL’Y RAW SARDINES & ANCHOVIES ARE SOURCED FROM LOCAL FISHERMAN IN SOUTHERN CALIFORNIA, FLASH FROZEN AND DELIVERED TO US WEEKLY. THESE TINY LITTLE FISH PROVIDE A NUTRITIONAL POWER PACK OF OMEGAS FOR YOUR DOGS & CATS. WE CHOOSE TO USE SARDINES & ANCHOVIES PRIMARILY BECAUSE THEY DON'T ACCUMULATE AS MANY HEAVY METALS DUE TO THEIR SHORTER LIFE SPAN. AT SOUL'Y RAW, WE USE ONLY WHOLE FISH BASED SOURCES OF OMEGA-3'S TO SUPPLEMENT OUR RAW BLENDS. KNOWN AS ESSENTIAL FATTY ACIDS, OMEGA-3’S ARE AN IMPORTANT PART OF A DOG’S DIET BECAUSE THEIR BODIES SIMPLY CAN’T PRODUCE THEM. FISH ALSO PROVIDE A WIDE RANGE OF HEALTH BENEFITS THAT CAN ONLY BE FOUND IN A MARINE SOURCE. NECESSARY FOR NORMAL GROWTH & FUNCTIONING OF CELLS, MUSCLES, AND ORGANS- DEFICIENCIES OF ESSENTIAL FATTY ACIDS HAVE BEEN LINKED TO A WIDE VARIETY OF HEALTH PROBLEMS, INCLUDING BUT NOT LIMITED TO - HEART DISEASE, CANCER AND DIABETES. TO KEEP THE INTEGRITY OF THE WHOLE FOOD, WE TAKE FRESH SARDINES & CUT THEM IN BITE SIZE PIECES. SMALLER DOGS & CATS MAY CHEW ON THE PIECES WHICH IS NOT ONLY ENCOURAGED, BUT ALSO COMPLETELY SAFE. INTRODUCE SLOWLY TO GAUGE YOUR INDIVIDUAL PET'S REACTION TO THE FISH. YOU MAY INCREASE YOUR PET’S DAILY INTAKE AS TOLERATED. Air-dried treats can be fed daily, serving size should be based upon your pet's individual nutritional needs.